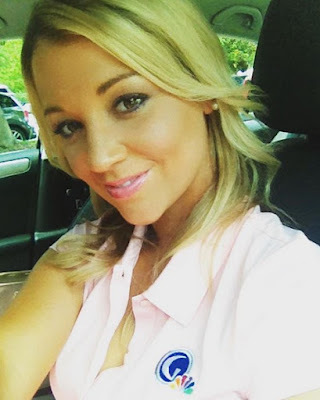 You've probably noticed that Annabel Rolley hasn't appeared on the Golf Channel in a while. Alas, it's true: Rolley and the Golf Channel have parted ways. That's disappointing - Annabel is one of the most knowledgeable, personable and watchable people in golf. "Proud to announce I will now be writing for Golf Digest and will be creating video content for them regularly." You can follow Rolley (@annabelrolleygolf) or the Aussie GD (@australiangolfdigest) on Instagram to keep up with her new efforts. What happened with the Golf Channel? What, unfortunately, happens all the time in TV: The end of a contract, the end of a relationship. Very surprising in Rolley's case, given her popularity and profile - given her name, and given that face. But Annabel is not looking back. "That's TV ... I have no hard feelings," she told Golf Babes. "I still have a good relationship with them." And what about her new gig with Australian Golf Digest - could we see her in the U.S. edition and other international editions, too? I'll be surprised if that doesn't eventually happen. Golf Digest would be crazy not to put Rolley in every edition it can. But her deal, for now, is only with her home country's edition. So we'll have to wait and see. Regardless, there's no doubt Annabel will do a great job in print and on video in her new role. And now we all know where to find her again. Read Australian Golf Digest's announcement for more info about what Annabel will be doing for them.